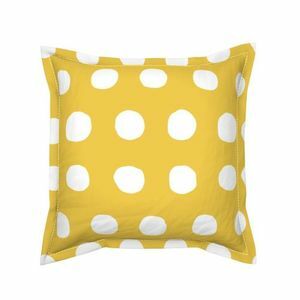 Large scale polka dots, hand-drawn, and in trendy, fresh, and classic colors. 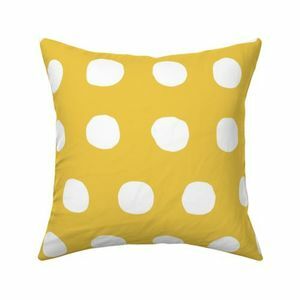 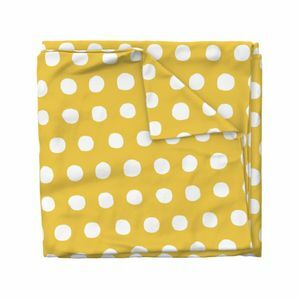 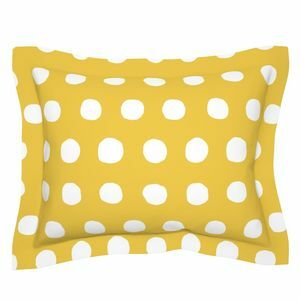 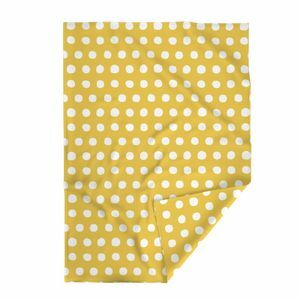 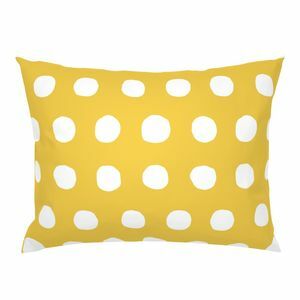 This is a warm and happy yellow with off-white dots. 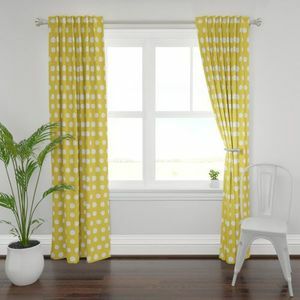 Any lines that may appear in the preview window are from the previewer itself and will not appear on the fabric.